If you have been injured in an accident due to the negligence of an Uber driver or vehicle, an Uber accident attorney Jess A. Lorona wants to help. At Lorona Mead, he has experience dealing with ridesharing services and he can work to secure the compensation you need in the aftermath of an accident. When the self-driving Uber car killed a pedestrian back in March, an investigation revealed that the backup driver, the person who was supposed to take over if an accident was about to occur, was watching Hulu videos on her phone. 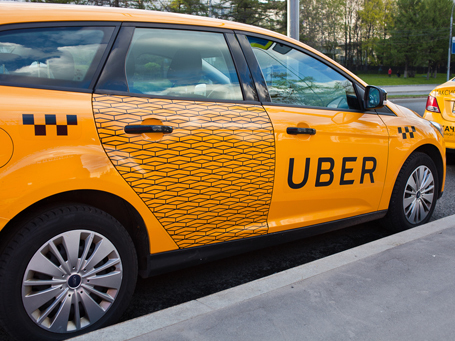 A Business Insider investigation has now learned that Uber had just removed the requirement that there had to be a second backup driver in the vehicle. Originally, when testing self-driving vehicles, two people were in the car. One person was responsible for taking over if needed while the other person was responsible for inputting data into an iPad about any issues the vehicle was experiencing. The company made the decision to cut out the second driver and have the first be responsible for all of the duties. Did that contribute to the accident as well? At Lorona Mead, we know that ridesharing and self-driving vehicles are a tricky subject. If you have been injured in a crash and need a Phoenix Uber accident attorney, our trusted legal team is ready to help you get the compensation you deserve. Is the ridesharing industry regulated like other transportation companies? The answer to that is – No. Becoming an Uber driver is not difficult. The requirements for Arizona are that the driver has to be 21-years-old, must pass a background check, and have insurance on the vehicle. You are just as likely to find a grandmother show up as your driver as you are a college student looking to earn some extra money. Uber drivers do not have any additional training when it comes to ferrying passengers. Are driving while distracted by their phones or other devices? Are driving while impaired by drugs or alcohol? Drive at excessive speeds or aggressively? As the testing of self-driving vehicles expands again, we need to be aware that this is a completely new field of law. If an accident occurs, who is liable in an accident? Is it the manufacturer of the vehicle? If you get injured by a self-driving Uber vehicle, you do not have time to go back and forth over who is at fault and who should provide compensation. You need the money to cover your expenses. Uber’s insurance covers each driver when they have passengers and when they are waiting for a fare, but we know that insurance companies will fight over who is liable in an accident. If the driver was reckless, they should be held accountable for more than just some medical expenses. If you have been injured in an accident due to the negligence of an Uber driver or vehicle, we want to help. At Lorona Mead, we have experience dealing with ridesharing services and we can work to secure the compensation you need in the aftermath of an accident. This can include coverage for medical expenses as well as other damages. When you need an Uber accident attorney in Phoenix, you can contact us for a free consultation by clicking here or calling 602-385-6825.